Mauricio Pochettino has taken pride at the way Arsenal exuberantly celebrated their north London derby win over Tottenham. The Gunners outplayed Spurs at the Emirates Stadium on Sunday, winning 4-2, and they were quick to rub their rivals’ noses in it on social media. The club’s accounts declared that ‘north London is red’ and also posted a picture of Harry Kane sat crestfallen on the floor, while several players also enjoyed the win online. 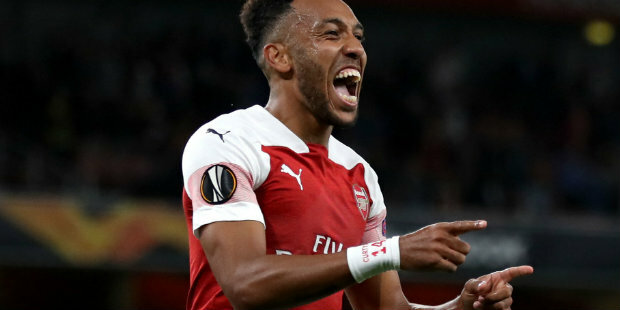 Pierre-Emerick Aubamayeng, who scored twice, used his Instagram story to capture raucous celebrations in the dressing room while Aaron Ramsay mocked Eric Dier and Sead Kolasinic crowned his team the “kings of north London”. Pochettino thinks that shows his side have become a big scalp and takes pleasure from witnessing it. “What that shows first of all is the respect that they have for us,” the Spurs boss said. “When the people celebrate like this, it’s because people respect you and see you as a big club. “Of course, when we arrived here five years ago, the derby was a little bit … well, it’s normally Arsenal always above Tottenham. But now it’s like, the last two seasons we were above them, and how they celebrate, it’s a derby yes, but you start to see it was a massive win for them. “Of course for us it was a massive disappointment … but it showed the respect that we got in the last few years with our performances, with our results. “Maybe we still not win a trophy, as the people say, but the respect in the way that we are doing the things – to get the respect is the most important thing or the first step. “It was the same for (chief scout) Steve Hitchen. Steve Hitchen was in the Liverpool game against Everton and was watching our game before in the stadium. “And when Arsenal scored the third goal all the Liverpool fans celebrated, like Arsenal celebrated after, like Liverpool fans celebrated the goal of Arsenal. “It’s clear we are doing something good. That respect, I love this respect. I love it when the people celebrate when they beat you. Pochettino said he does things differently and prefers to keep any celebration private. “Personally, I don’t like. I don’t like,” he said. “Obviously if you win a trophy like I won when I was a player, it is a moment to celebrate. “For me, this is my mentality and I don’t want to say it’s right or wrong, I love to celebrate I private and not make it public. “I love to celebrate the things with your team-mates. If you win, of course celebrate and show the fans you are happy. “It’s fantastic. But when you win, when you win a trophy, when you win something special. 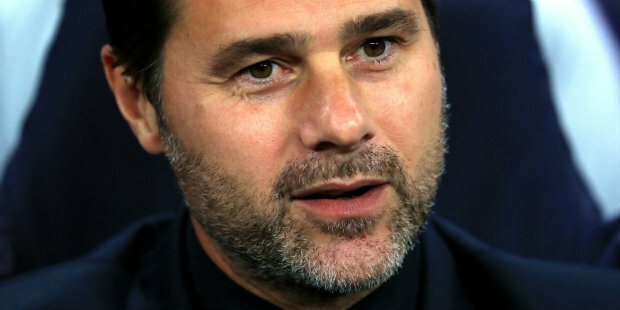 Spurs get the chance to bounce back from the defeat when they host managerless Southampton at Wembley on Wednesday. 1 Comment on "Pochettino says Arsenal’s celebrations against Spurs made him feel proud"